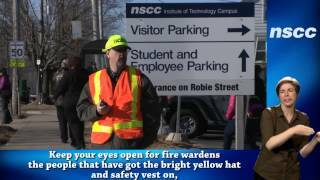 Nova Scotia Community College (NSCC) is upgrading its life safety and security systems to reduce risk and improve the safety of students, staff, property and other assets spanning 13 campuses. Working with IT consulting firm Interaccess Consulting for project planning and management, a risk assessment and review of information management, facility operations and communication infrastructure was conducted to identify gaps and opportunities plus address priorities and integrate systems. A request for proposals was issued for a technology solution to centralize and automate alarm monitoring and alerting/incident management, including mass notification, without having to rip out and replace legacy systems. VistaCare Communications, a Status Solutions certified reseller, was chosen as the systems integrator, and a SARA system was deployed as part of a technology trial at the Institute of Technology campus. During this initial test, SARA proved to be a reliable, flexible and scalable platform for emergency alerting and mass notification, interoperating with existing alarm and communication systems. NSCC now is implementing the solution at its other 12 campuses. Based on specific scenarios, SARA delivers automated alerts with instructions to campus security, emergency responders, executives and other personnel, plus students via numerous communication end points, including wall boards with horns and strobe lights in industrial areas. Emergency pull stations and mobile duress pendants given to personnel summon help immediately, including enacting automatic lockdowns. Physical security has been enhanced with sensors on perimeter doors and critical infrastructure areas, and fire panels have been integrated. Environmental monitoring includes temperature and humidity sensors in server rooms, temperature sensors in food stores, and building controls integration to monitor HVAC systems, boilers, water pumps, etc.